Who has turned the clock ? 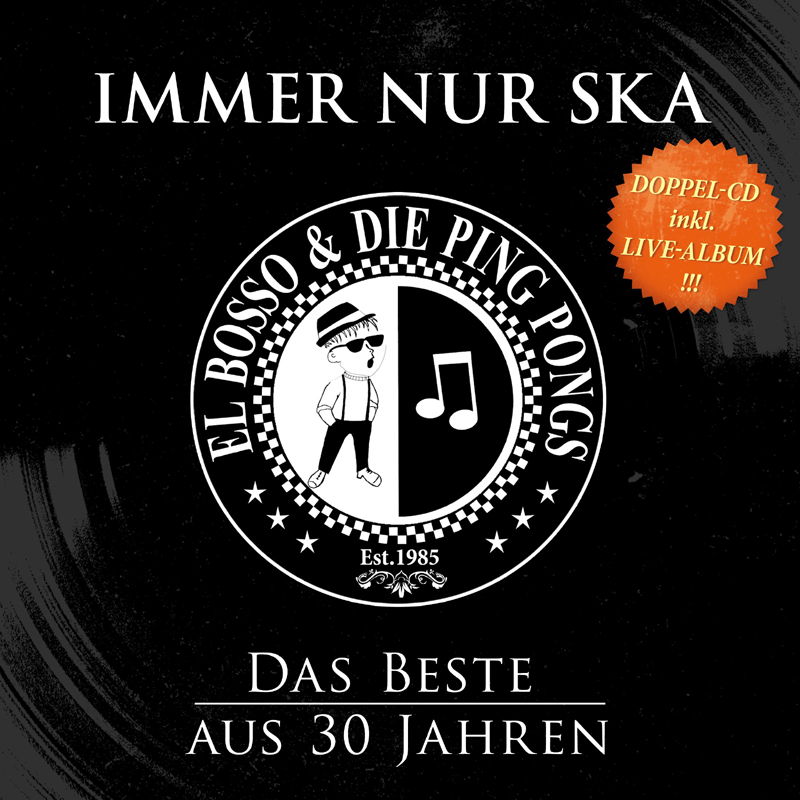 El Bosso & die Ping Pongs are already celebrating their 30th anniversary and of course an appropriate release is a must on that occasion. IMMER NUR SKA - DAS BESTE AUS 30 JAHREN is much more than just another "Best Of..." album. On the one side it offers a compilation of carefully selected El Bosso songs - from the first studio recording of their alltime hit "Immer Nur Ska" to the brand new 2015 version with the lyrics in english for the first time in band history. In between Dr. Ring Ding perfectly arranged a choice of the greatest El Bosso hits of all times ready for the next party. On the second CD we will find the live recordings of the legendary 2006 x-mas gig in their hometown Muenster. All recordings have been carfully digitally remastered. The foldable digipak contains also a nice booklet with a review of the whole band history, nice youth pics of the band and funny El Bosso anecdotes narrated by their fans, other ska bands and other companions of these pioneers of german ska lyrics. Congratulations dear El Bosso & die Ping Pongs!